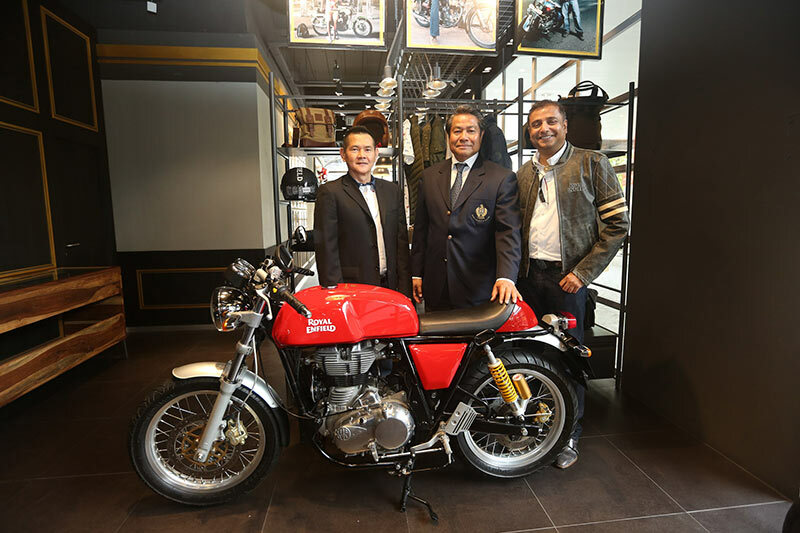 Royal Enfield, the fastest growing motorcycle brand in the world, today launched its retail operations in Thailand, with the price announcement of its complete range of motorcycles, apparel and accessories at the launch of its first exclusive store in Thonglor, Bangkok. 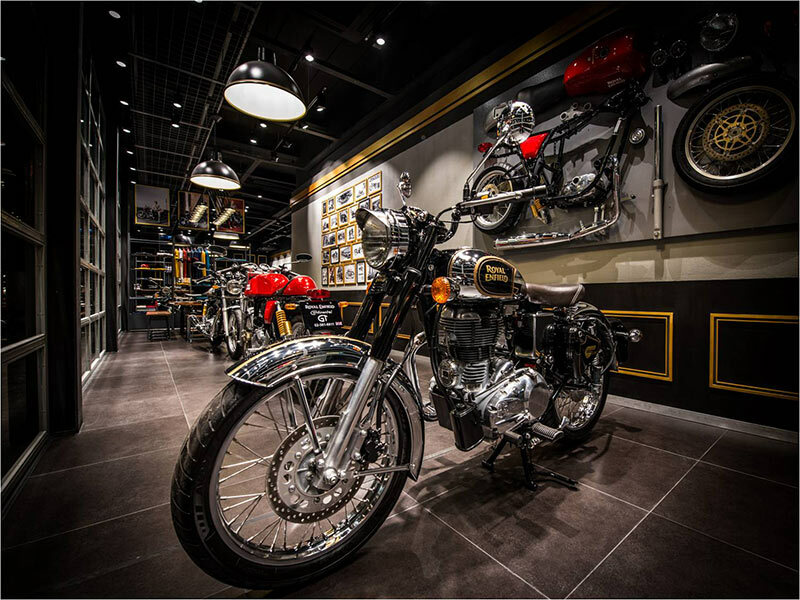 Royal Enfield’s first retail store in Thailand has been set up by the prestigious General Auto Supply Co. Ltd. In Bangkok, Royal Enfield’s iconic motorcycle– the Bullet, world’s oldest motorcycle in continuous production since 1932, is available at a price of THB 179800 for 500cc. Royal Enfield’s retro street model, known for its post war, timeless styling – the Classic 500 is available for THB 189800 and Classic Chrome for THB 198800. The Royal Enfield Continental GT 535cc café racer is now available at a price of THB 219800.
said Mr. Arun Gopal, International Business Head, Royal Enfield. With a view to become the leader in global mid-sized motorcycle segment, Royal Enfield has been expanding its global retail footprint across UK, Europe, Latin America, Middle-East and now in South East Asia, with its most recent launch in Indonesia. Royal Enfield announced its entry into Thailand, the fifth largest two wheeler market in the world in Dec 2015, at the Thailand International Motor Expo. With its aspirational yet accessible range of motorcycles suitable for riding within the city, as well as long-distance rides during weekend, the 115 years old iconic motorcycle brand intends to revolutionize and reinvigorate the mid-size motorcycle segment in Thailand. Delivering the brand philosophy of “Pure Motorcycling” in every aspect of ownership experience, Royal Enfield’s exclusive store will be the first ever in the country. The 1190’ square feet store creates an ambience of motorcycle enthusiast’s living room by featuring an interesting visual merchandising format, comfortable sitting spots in several corners, and innovative product displays, which include a wall display of a stripped down Continental GT showcasing the bike’s internals and frame. 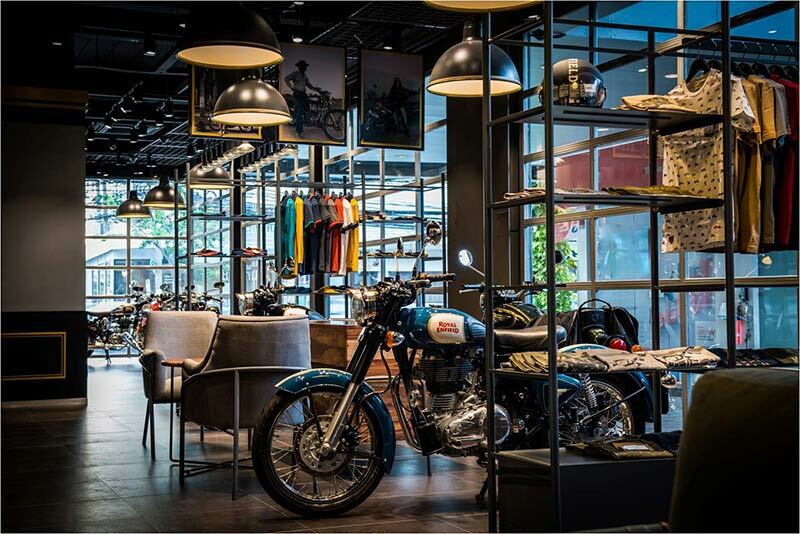 The store will house not only Royal Enfield’s motorcycle range, but also its complete range of apparels and accessories, including purpose-built protective riding gear and lifestyle gear. The space of store has been designed not just as a point of purchase but also a meeting point for enthusiasts to have conversations around motorcycling. The 3685’ square feet retail outlet located at 842 SoiSukhumvit 55 (Thonglor), Sukhumvit Road, KlongtanNua, Wattana, Bangkok, is a full-service dealership by General Auto Supply Co. Ltd, is equipped to provide service and aftermarket capabilities. Royal Enfield will work closely with General Auto Supply to bring a differentiated experience for motorcycle enthusiast in the region. Royal Enfield designs classic styled motorcycles that are simple, evocative, tactile and fun to ride, providing riders with a “Pure Motorcycling” experience. Blending traditional craftsmanship with modern technology, as a means to achieve the perfect balance between the man, machine and the terrain, Royal Enfield motorcycles creates a unique experience for riders that is more approachable and unintimidating. In Calendar Year 2015 the company sold over 450,000 motorcycles across the globe to support its global growth strategy and also announced its plan to produce upto 900,000 motorcycles by end of 2018, from two of its existing manufacturing facilities and a third upcoming facility, in Tamil Nadu, India. With a view to become the leader in the global mid-sized motorcycle industry, Royal Enfield is also building two new technology centres – one in India and one in UK, to enhance capability and execute long term product strategy. Royal Enfield recently announced its entry into Brazil along with the launch of its first subsidiary outside India in North America.